Volunteering is a great way to grow, meet others, and discover new ways to help and serve people. You’ve been created by God for purpose. He’s given you unique gifts, passions and talents that if identified and unleashed, will allow you to maximize your potential and help others! At Hope we want to help you “Discover You” so you can live out your most fulfilling, purposeful life! 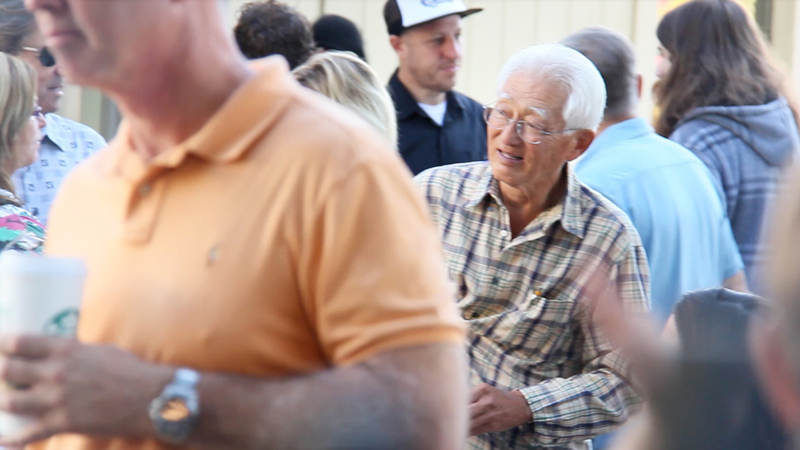 Whether visiting for the first time or for the hundredth, we want everyone to feel God’s aloha when coming to Hope. It’s critically important for people to feel like they belong. We want them to know they are loved and accepted. Team Aloha is all about breaking out the red carpet for our 1st time guests so that they have an incredible experience. Come and join us, and help us spread the aloha! Kids are a major focus here at Hope. We love our kids! We are passionate about helping them find and follow Jesus. We do this in fun and interactive ways. Do you share that passion? We have multiple ways to get involved - teaching, working with parents to get their children checked in, taking care of our babies, or helping our Kids Director with administration. The Hospitality team loves people. Whether it’s feeding them free pancakes, coffee, tea, or just greeting them with a friendly smile and good conversation, the goal is to make people feel welcome and accepted. Sound fun? It is! Join us. 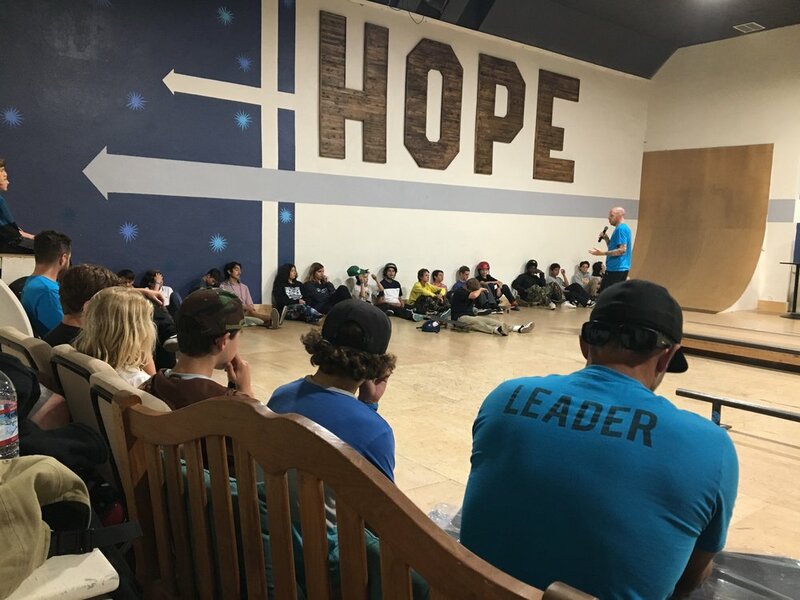 We have plenty of ways for youth to get involved here at Hope. Because of that, we have a need for adult volunteers/leaders, not only on Sundays mornings, but also on Sunday evenings and throughout the week. Together, we can make a huge impact in the lives of this next generation! We rely heavily on volunteers to help with office tasks. From special events like our yearly Christmas Outreach to helping prepare the bulletins for Sunday’s services, there are a bunch of ways to get plugged in, both on the weekends and throughout the week. Help make Sunday services flow seamlessly. Ensuring the proper slides are up on the screen at the proper time is a vital part of what happens during our services. People like to follow along during worship and the teaching. It helps them encounter God. It’s a very practical and easy way to serve for people who understand technology. A lot of work goes into getting ready for our Sunday services. It takes a team of dedicated volunteers to make it happen. Setting up chairs, the patio, the pancake grill, etc. in the morning takes time and effort. It’s all part of creating a place where people can connect with God. Tearing down and cleaning up is just as important. It helps us get ready for all the great events that take place during the week. The next generation will always be our focus at Hope! One of the ways we impact the youth of our community is through Skate Church. Every Monday evening we open up our doors and let kids/teens skate the many ramps we have throughout the building. We feed them free pizza and do a 5-10 minute talk from the Bible. You don’t have to skate to be a leader, just love young people and want to help them find and follow Jesus. 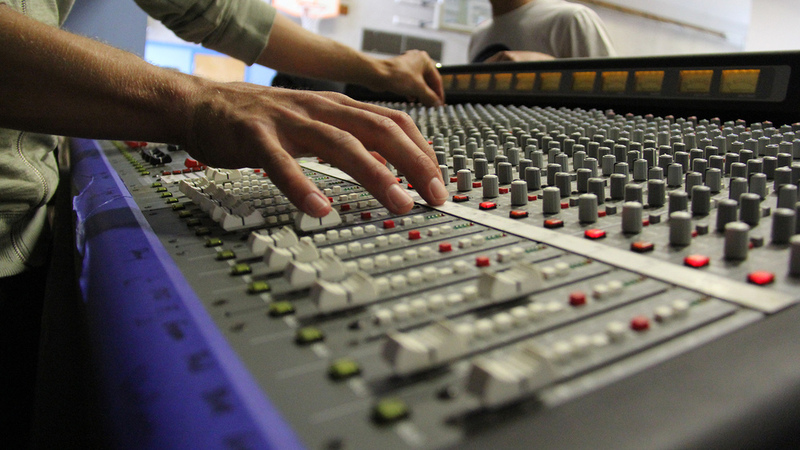 We have a great sound team who are passionate about making sure the worship and teaching is heard with excellence. If you have an ear for sound and a desire to learn, this is a great way to get involved. We’ll teach you so don’t feel like you need to be an expert. Impacting our community is extremely important to us! We’ve adopted a school (Del Mar Elementary) and work closely with the Principal on a yearly Christmas Outreach where we give food and gifts to hundreds of needy families as a way to demonstrate God’s love, kindness and generosity. If you have a passion for seeing people connect with God through music and have musical or singing gifts, the worship band might be a good fit for you. Worshiping God through music is an integral part of what we do to honor Him and show how much we love and appreciate Him. It also creates an environment for people to connect with Him in a very real way.